The Colorado-based Cargill, a meat producer that ships products nationwide, is recalling thousands of pounds of ground beef for the second month in a row due to a potential E. coli contamination. All of the recalled products bear the mark "EST. 86R" on the USDA mark of inspection, according to the FSIS notice, which adds that the items were shipped to locations nationwide. It was less than a month ago Cargill recalled over 25,000 pounds of ground beef due to an E. coli risk. 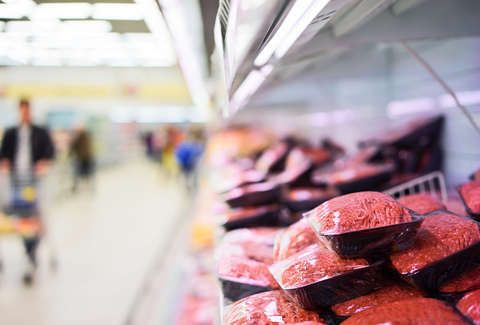 That came after FSIS, the CDC, and others reported that its ground beef was the likely cause of a number of illnesses reported over the summer. In total, there were 17 illnesses and one death between July 5 and July 25 linked to the E. coli outbreak. "FSIS is concerned that some product may be frozen and in consumers’ freezers," the report states. "Consumers who have purchased these products are urged not to consume them. These products should be thrown away or returned to the place of purchase." It's definitely not worth risking it. All products can be returned to the point of purchase. Consumers with further questions can contact the USDA meat and poultry hotline at 1-888-MPHotline.